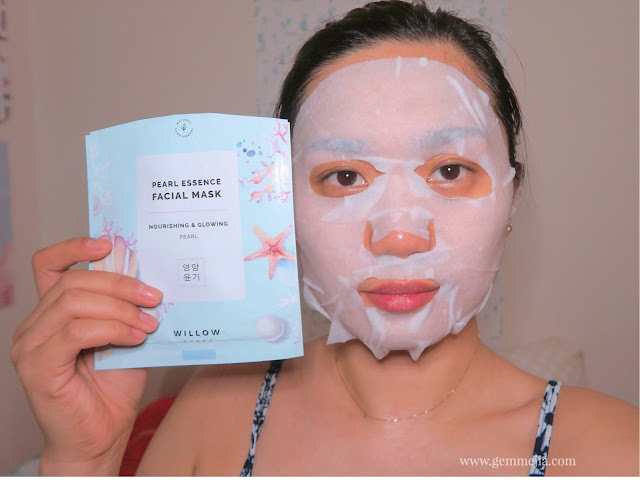 If you're familiar with Korean skincare routines, you'll know that facial masks are one of the most important parts of it. Facial masks are convenient and easy skin-boosters. It is also my favorite saviour whenever I'm feeling like I'm having a "bad skin day." 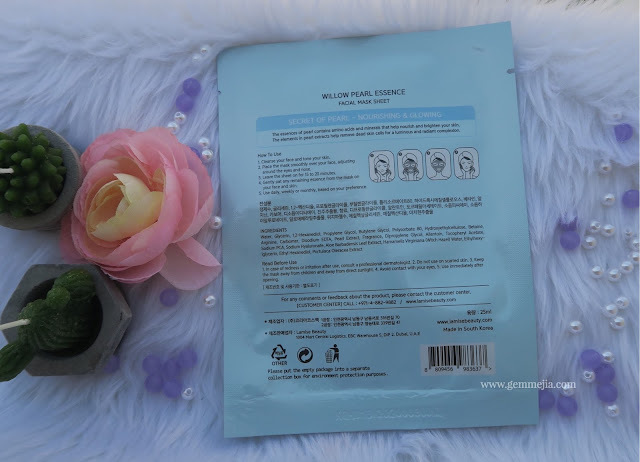 Today, I will review the Pearl Essence Facial Mask that I received from lamisebeauty. 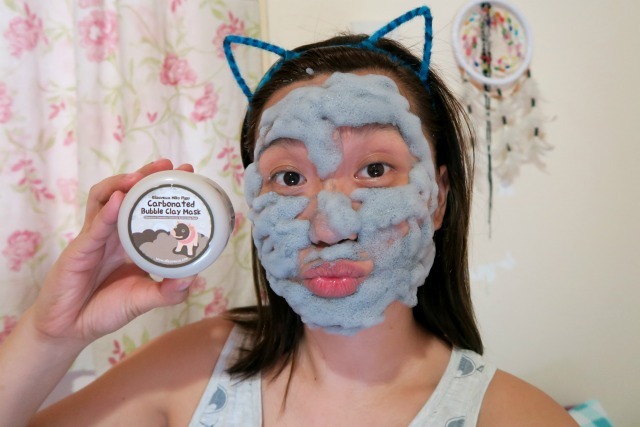 I tried their nourishing & glowing facial mask. The brand is Willow. It is exclusively made for Lamise Beauty. I have always been pretty fascinated by beach and starfish that's why the packaging is a plus points for me. It is so adorable. 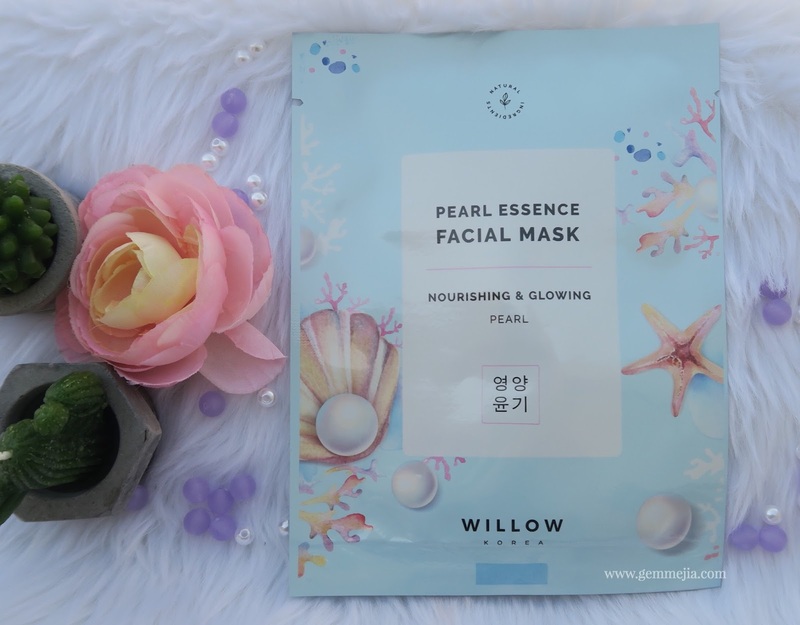 My skin hasn't been it's best lately, so I welcome the Pearl Essence Mask with open pores and dry skin. The mask is quite luxurious. The cloth is white, thick and pleasant-smelling. The mask is soft that clings comfortably to my skin. It is absolutely drenched in a mixture of hydrating and nourishing ingredients. I like that it sticks on well so I don't have to lie down and instead can do other things while waiting for the 15 minutes to go by. My skin feels soft and nourished when I take it off. After drying, none of that awful tightness feeling. It definitely makes me look fresh and less tired. When I awoke the next day, my skin was no doubt hydrated and had a smooth feel. I would definitely use this once again, it was gentle and soothing. Have you tried this mask? Do you love it? Let me know by leaving your comments below.